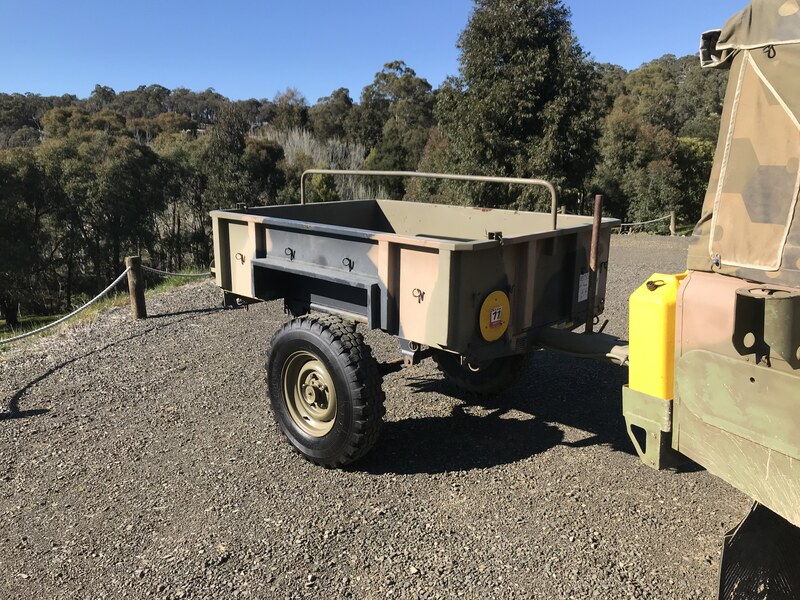 It was built in 1965 - and towed great behind my Perentie. 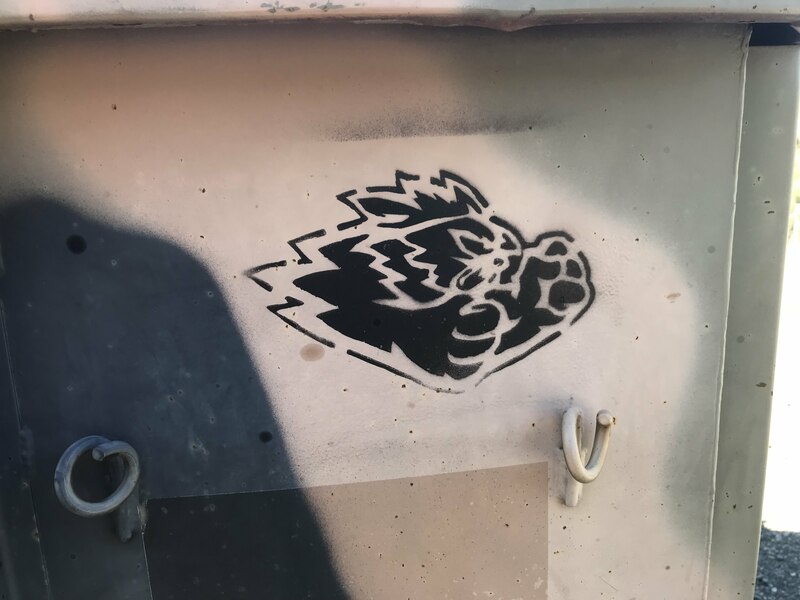 Does anybody know what marking this is? (Looks like two fists)? What regiment / unit would it be? 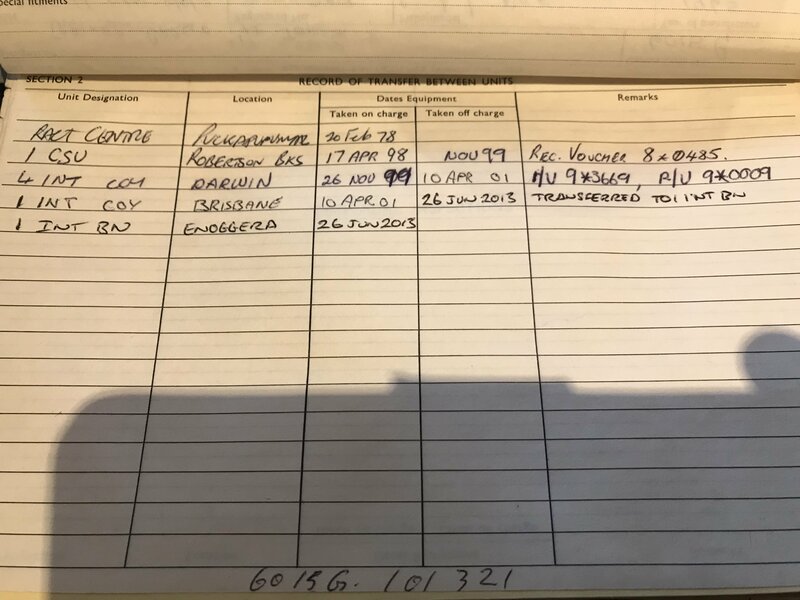 PS - The spring packs were replaced in October 2016, so should be good for another 50 years..
Can you take a pic of the last couple of servicing pages in the log book - that might help. If it's a Tiger, that was the mascot for 5RAR. 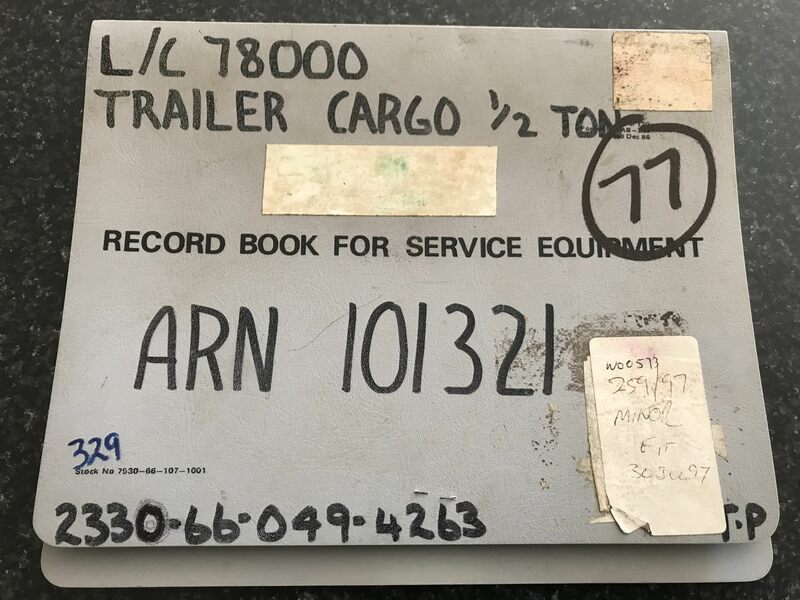 I believe that this is the page explaining where the trailer spent it's time in service? Can't help with the fists but I'll ask my ex infantry mate for ya later on today. That looks shmikko! I see what you mean regarding my trail bike fitting. (I get it on and off my falcon uts solo with a milk crate to stand on but the dimensions and the cross bar do not look like it would suit. I still want one though they look so good behind the perentie. The bar on the No.5 is removable - it is held in by pins, but comes out easily. Ah ha. My mate didn't recognise the double fist ensignia unfortunately.